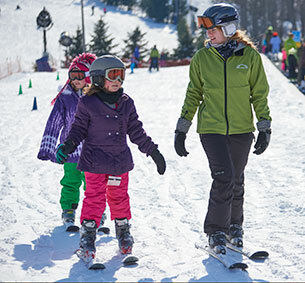 For discounted pricing, bring a group of 15 or more skiing/snowboarding & snow tubing! It's an exciting winter activity great for all ages. 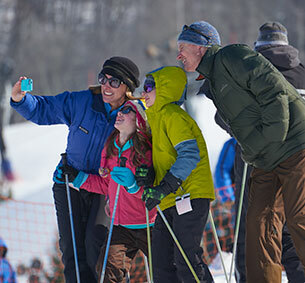 Making a group reservation can be as simple as registering online or calling Customer Service at Perfect North Slopes . Your group will have a great time while enjoying discounted rates. Snow tubing is included with your admission. 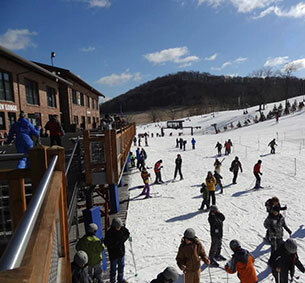 For organizing the group outing, you'll receive a BONUS lift ticket. REGISTER EARLY. Group pricing is limited and may be subject to availability. Choose a date and time for your group outing. Register online or call Customer Service. We recommend making your reservation early; space is limited and subject to availability. Reservations MUST be made at least 1 day in advance. Collect everyone's money and signed waivers in advance. Have your total number of lift tickets and equipment rentals that you need counted before you come to the group sales window in the West Lodge. Include all skiers/riders & tubers; we will then deduct your BONUS from the total. Be sure everyone in your group is here when you are ready to purchase the tickets. Time begins when the tickets are printed. 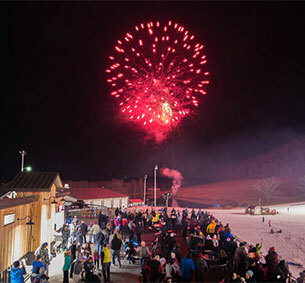 ONLY the group leader, (and one helper if needed), should come to the group area to purchase admission tickets and ski/board equipment rental. Only one form of payment will be accepted for the entire group. Personal checks are not accepted. The group leader is responsible for dispersing all items to the group. Admission tickets must be worn so they are visible to lift attendants. Rental forms should be completed prior to entering Rental Shop. If ski/board equipment is needed, proceed to the Rental Shop using the front parking lot entrance. Every admission includes an First Time Lesson at no charge. 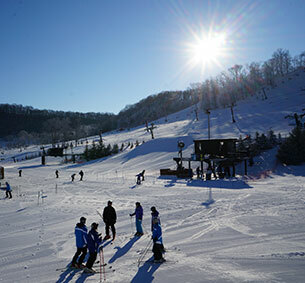 Skiing/boarding lessons are offered every hour on the hour beginning at 10am. Each member should be aware of your Responsibility Code. WAIVERS ARE REQUIRED to be completed by everyone in the ski/board & snow tubing group. Ski/Snowboard/Tubing equipment is subject to availability. The Group Lift Ticket also includes snow tubing. This all area ticket is valid for up to 8 consecutive hours. 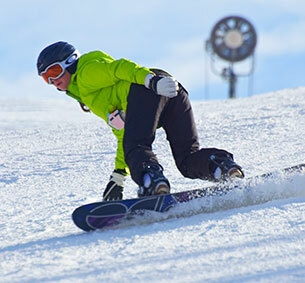 First Time Lesson (skiing or snowboarding) are included at no additional charge. $10 food cards are available for your group outing. Limit one per person. This group option is valid only in our Food Service Departments. Early return does not apply to any group ticket. Comps: 1 bonus lift ticket for every 15 purchased. 1 bonus equipment rental for every 15 purchased. 1 bonus food card for every 15 purchased. $15 Upgrade: Add 4 hours to an 8 hour ticket; available only at end of your session. Field Trips must call to register due to limited space. Available for school children ages 7 and older. This package includes a 4 hour ski/board ticket, equipment rental including the helmet rental and introductory ski/board lesson. Must arrive prior to noon. Group leader will receive 1 complimentary ticket for every 15 tickets purchased. Snowboard lesson based on instructor availability. Children ages 6 & under are not eligible for the introductory lesson with this school discount package. Field Trip Available *Monday - Friday beginning 1/7/19. Excluded dates: 1/18/19, MLK Day 1/21/19, 2/15/19, and President's Day 2/18/19 . Upgrades & Early Return Options do not apply. A Snow Tubing Field Trip is also available, contact the office for more information. Group & Field Trip Reservations will not be honored without confirmation. A signed waiver is required and is available online to download. Parent signature required for children under 18. This form will help you organize the number of lift tickets, rentals, lessons and tubing tickets your group will need.